Janet Littlewood graduated from the Bristol Veterinary School in 1977 and then completed an Internship at the University of Pennsylvania. After a couple of years in general practice she joined the Cambridge Veterinary School as small animal Assistant Physician and subsequently was awarded a doctorate in 1988. For 12 years she was Head of the Dermatology Unit at the Animal Health Trust, Newmarket, with clinical and research interests in both small animal and equine dermatology. Janet has over 30 years' experience in referral veterinary dermatology, built on a sound foundation of training and interest in general internal medicine. 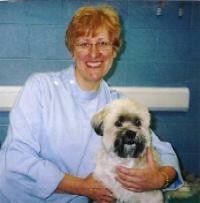 She holds the RCVS Diploma in Veterinary Dermatology and has RCVS Recognised Specialist Status. She has over 50 publications in peer-reviewed journals as well as contributions to textbooks as both author and co-editor. She is internationally recognised in her field, particularly for her work in equine dermatology, being an invited speaker at European Society of Veterinary Dermatology Congresses and Workshops, the 4th World Veterinary Dermatology Congress in San Francisco and the North American Veterinary Conference. She is a regular speaker at regional meetings and on continuing education programmes, renowned for her enthusiasm for her subject. She is also available for case advice for both veterinarians and pet owners via the Virtual Vet Derms website at www.virtualvetderms.com.